Contrabanned: #MusicUnites is presenting a showcase of artists from these areas affected by the order including Ash Koosha (Iran / London UK), Faarrow (Somalia / Toronto CA), Kayem (Libya / Chicago IL), Mamak Khadem (Iran / Los Angeles CA), Mohsen Namjoo (Iran / New York NY), Dena El Saffar (Iraq / Bloomington IN), and Bassel & The Supernaturals (Syria / Chicago IL), to facilitate awareness and dialogue between these communities and beyond. The showcase will be on Friday, March 17 at the Palm Door on Sixth patio. 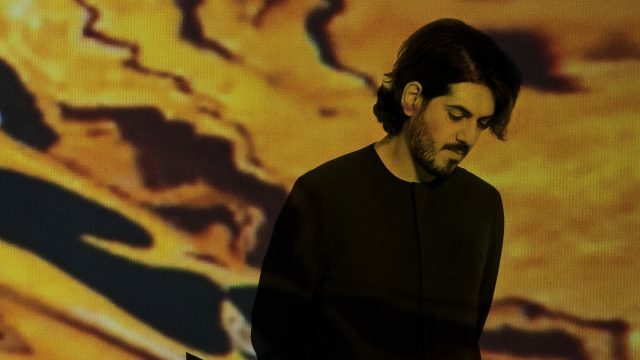 The showcase features sounds ranging from traditional to modern to absolutely futuristic (like Ninja Tune experimentalist Ash Koosha.) The show not only highlights these geographical spaces but also different generational takes on musical style. Dena El Saffar will be starting things off with a more traditional sound, The Mamak Khadem Ensemble will serenade showgoers with her incredible voice, Mohsen Namjoo’s funky take on more traditional forms will lift collective spirits, Faarrow will modernize things a bit with more club-friendly material, Bassel & The Supernaturals will play their lounge-friendly jazz-funk, and Kayem’s hip-hop set will round out the diverse showcase. Come support these artists and join the cause to show that the power of music is universal: #MusicUnites.